I haven't drawn in a while, so it was fun to do this during the Patreon chat today. 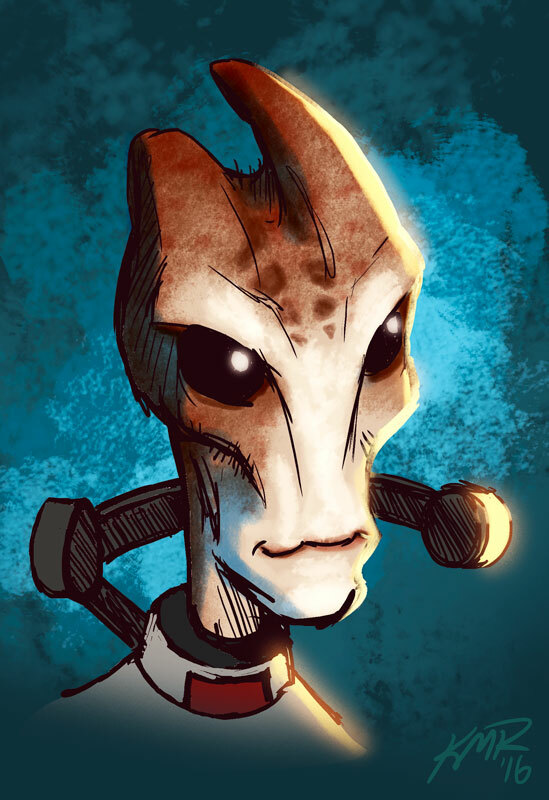 :) Mordin is my favorite character from Mass Effect. Drawn and painted by K. Michael Russell. ©2016.